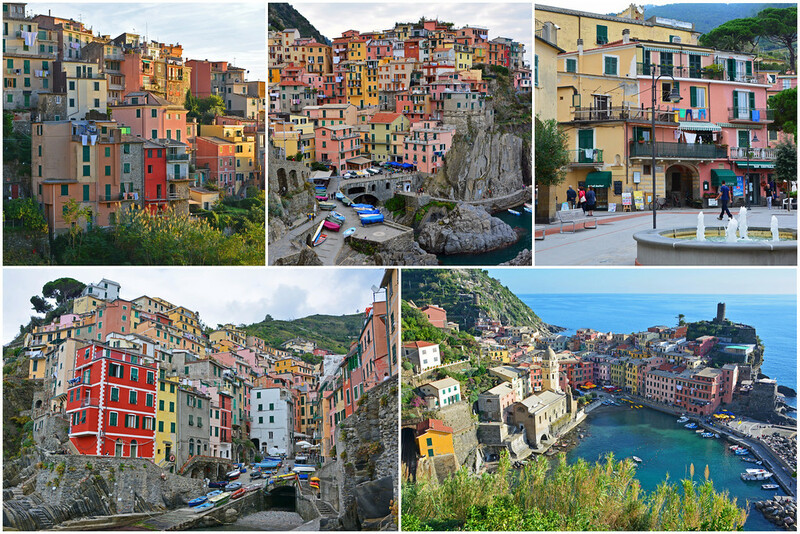 In this post we’ll cover not only how to get to Cinque Terre, but also a plethora of other information that will help you plan your visit to 5 of the most stunning villages along the Italian Riviera. For even more detailed planning information, check out our downloadable Cinque Terre Destination Guide. The closest airports to the Cinque Terre are Pisa and Genova. (TIP: We found great prices to Pisa from the USA on Norwegian Airlines.) 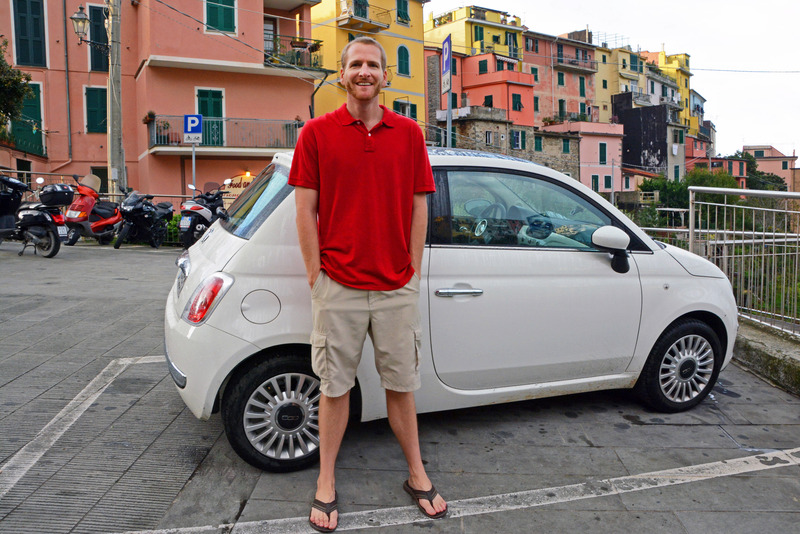 If you heed our advice and don’t rent a car, getting from these airports to the Cinque Terre via train is quite simple. Both in Pisa and Genova, there is a quick and frequent shuttle that takes you from the airport to the town’s respective train station. From there, it’ll take approximately 1 hour and 20 minutes to get to the Cinque Terre. 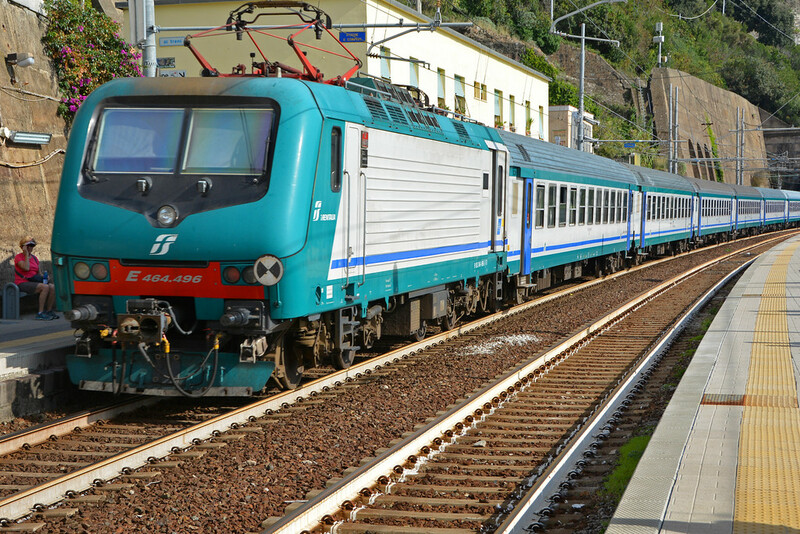 The direct trains from Pisa Centrale to Monterosso (Cinque Terre) are infrequent, but there are frequent trains to La Spezia, where you can change trains for a <10 minute ride to Riomaggiore. Use the website www.trenitalia.com to book train travel in Italy. *Always remember to validate your train ticket before hopping on-board. For more travel arrival options and information, check out our detailed Cinque Terre Destination Guide. Besides visiting the Cinque Terre villages as a shore excursion on a Mediterranean cruise, which we’ll discuss momentarily, there are plenty of options for visiting the five villages as a guided day trip from surrounding towns in Italy. Let someone else do the planning and check out these Cinque Terre Day Trip tour options: Full-Day Train & Boat Tour from Florence | Full-Day Trip from Milan | Small Group Tour from Pisa or Lucca | Sailing, Swimming & Snorkeling Tour of Cinque Terre from La Spezia Harbor. Keep in mind, you won’t get to spend much time in each of the five villages, as there are countless things to do in Cinque Terre and a day trip doesn’t allow much time! However, if you’re already booked in a town nearby and simply want to experience splendor of the five villages, even if only as a day trip, you do have options! 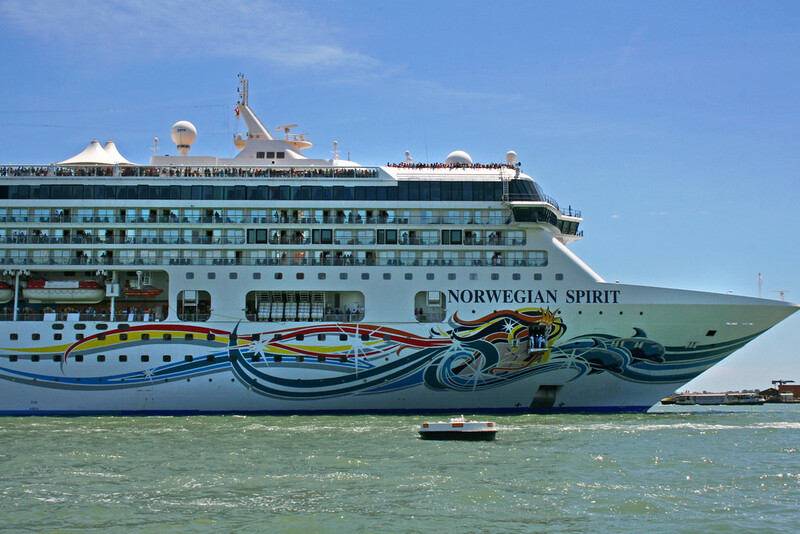 Many cruise ships and various tour companies offer excursions into the Cinque Terre from the ports of La Spezia and Livorno (Florence), among others. Check out this private small group tour option from the port of Livorno! Though, while it may be invigorating to see all 5 villages in just a few hours, it is not recommended. We had the opportunity to take a shore excursion to the Cinque Terre during a Mediterranean cruise we took a few years back and while we were tempted with the thought, we decided that we’d rather explore this beautiful region of Italy on a separate, and longer, trip! If this may be your only opportunity to ever see the Cinque Terre, then go for it! It’s better to have a rushed visit, than no visit at all. But, if your schedule permits, plan to visit the Cinque Terre when you have at least 2 full days to explore, if not more! There are numerous ways to get between the charming villages in the Cinque Terre. 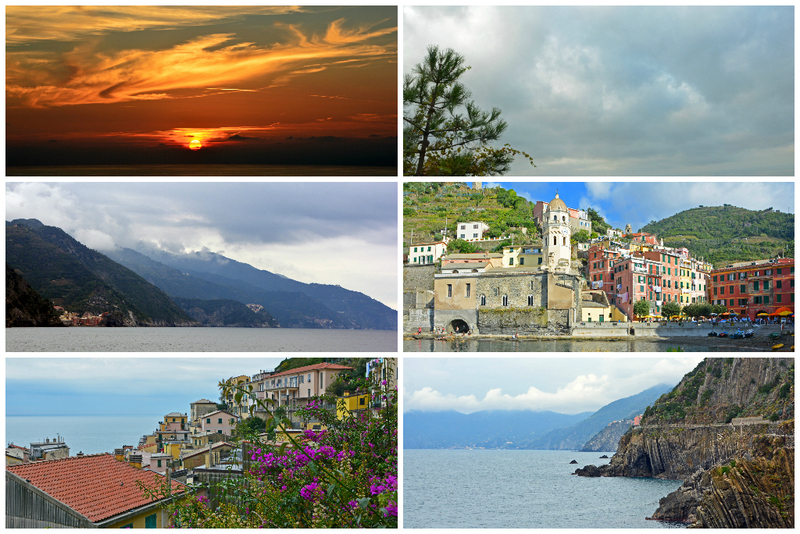 Choose one option or do a combination of options to experience traveling about the Cinque Terre in a variety of ways. 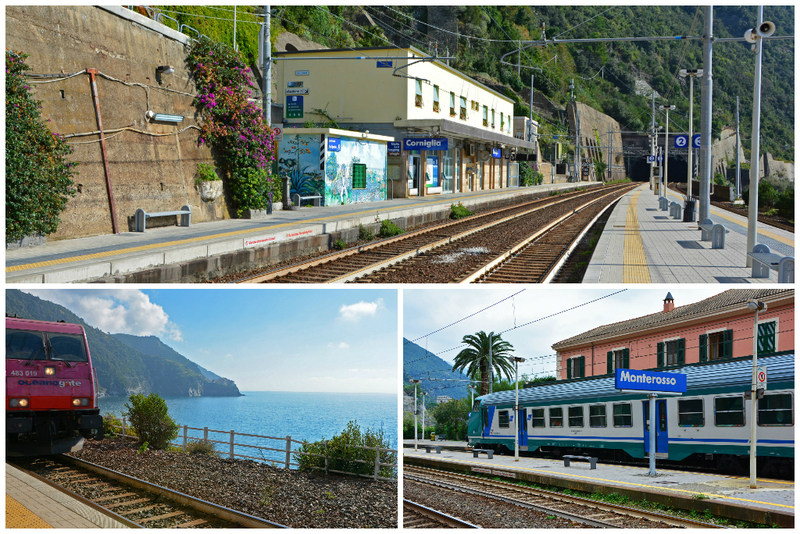 Train travel is the easiest (and fastest) way to explore all five villages in the Cinque Terre. Travel time from one village to the next is anywhere from 4-6 minutes, with a total time of just over 20 minutes to go from Monterosso in the north to Riomaggiore in the south. Trains run in each direction once or twice every hour, starting at just after 5 am and ending just after midnight. Check the Cinque Terre Train Timetable PDF for the current train schedule. For unlimited access on the La Spezia–Cinque Terre–Levanto line, purchase the Cinque Terre Treno Card (more info on that in a bit). If you’re doing an abbreviated visit to the Cinque Terre and don’t plan to stop in every village, but want to at least see every village, even from afar, train travel would NOT be the preferred method. Much of the train line between villages is through tunnels, so you won’t see much. For the more scenic route, consider taking the ferry. 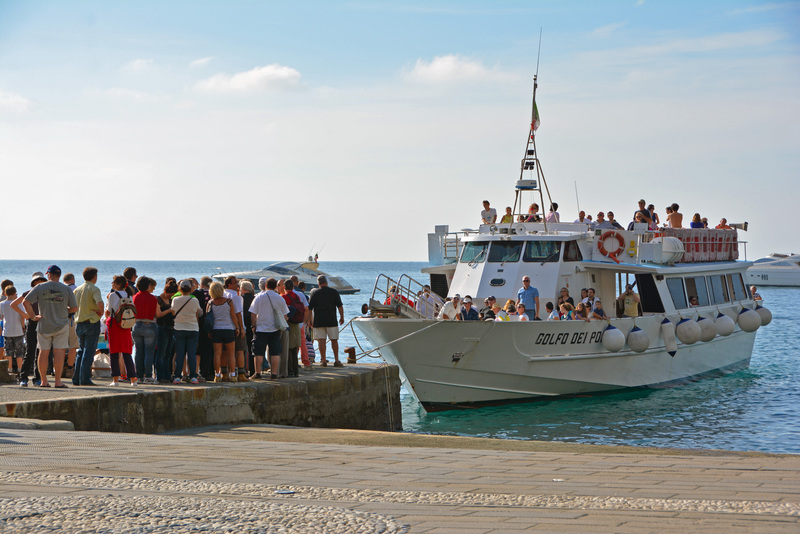 From the end of March to the start of November, the ferry takes passengers from the ports of La Spezia and Portovenere to and within the villages of the Cinque Terre, offering incredible views of the villages from the water. The journey between villages takes about 10 minutes, in addition to time required for loading and disembarking. Please note that the ferry does not stop in Corniglia, as it is the only one of the 5 villages not easily accessible by the sea. As such, the journey between Vernazza and Manarola is about 20 minutes. Keep in mind, ferry service could be canceled and adjusted in inclement weather. For more information, including current prices, check out the Cinque Terre Boat Timetable. 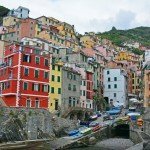 CinqueTerre.eu.com has put together a great overview of the footpaths between villages in the Cinque Terre. As you may have gathered by now, the Cinque Terre Card could very well be an economically good idea, depending on how you plan to see the villages. There are two types of card: 1) Cinque Terre Card and 2) Cinque Terre Treno Card. Both give you unlimited rides on the village shuttle buses, access to all trekking paths within the National Park, and WiFi connection at the train stations. We ended up purchasing the Cinque Terre Treno Card which also offers unlimited train service between villages, in addition to the services listed above. In fact, this particular card offers unlimited travel on the entire Levanto-Cinque Terre-La Spezia line (second-class on regional trains), so if you’re coming in from the La Spezia train station, this card is definitely a good idea. Cards can be purchased at the La Spezia and Levanto train stations, at all 5 village train stations, and at the beginning of the Blue Path trailheads. For more information, including current prices, again check out CinqueTerre.eu.com. The weather in the Cinque Terre is fairly mild with moderate winter temperatures averaging about 54 F/12 C. During the summer months, temperatures can reach an average of 86 F/30 C, and while this time of year may bring about the most sunny days… it also brings hordes of tourists. Spring and Fall are both excellent times to visit, as the crowds are minimal and the weather is pleasant. Expect a little more rainfall during these months, though the showers tend to be brief in duration. We visited in October and found the weather most delightful and the crowds minimal. We had several hours of overcast skies throughout our October visit, but the sun also made several glorious appearances. Quick Note: There was a fairly recent announcement mentioned by several credible news sources that the Cinque Terre will soon begin limiting the number of tourists who can visit each year. If you read any of these headlines, fear not, the writer of the website Italian Fix clears up this escalated rumor in a thorough and honest blog post. There are a variety of lodging options throughout the villages of the Cinque Terre ranging from luxurious hotels to a handful of adequate budget hostels. In our Cinque Terre Destination Guide, we’ll go over the pros and cons of staying in each village. Our best advice – start your search early to find the accommodation that best suits your needs and budget! We rented an apartment through AirBnB and lived like locals with an absolutely stunning view in Corniglia! Haven’t tried AirBnB yet?! Use our special link to save $ OFF your first stay! 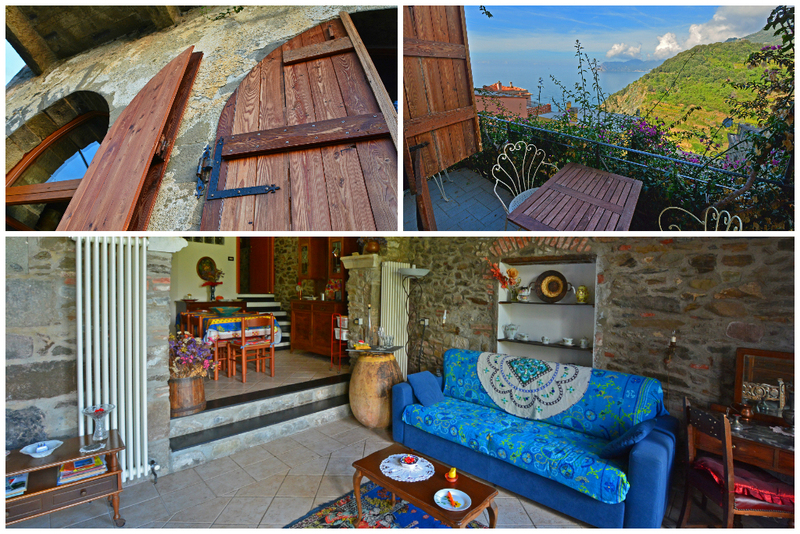 AirBnB rentals are very popular throughout the villages of the Cinque Terre. Rent a room or have an entire place to yourself! Dare we say, Italy is not the place to visit if you’re trying to eat healthy! Of course, you can find healthy options in Italy, but it’ll be really hard to resist the endless options of pizza, pasta, gelato, and wine! The Cinque Terre is quite the wine growing region with countless vineyards on the hillsides above the villages. Be sure to try Sciacchetra, a delectable white wine perfect for pairing with cheese and/or dessert. For unbelievably delicious gelato, look no further than Un Mare di Yogurt in Corniglia. It’s important to note that Italy is starting to get on-board with gluten-free options. 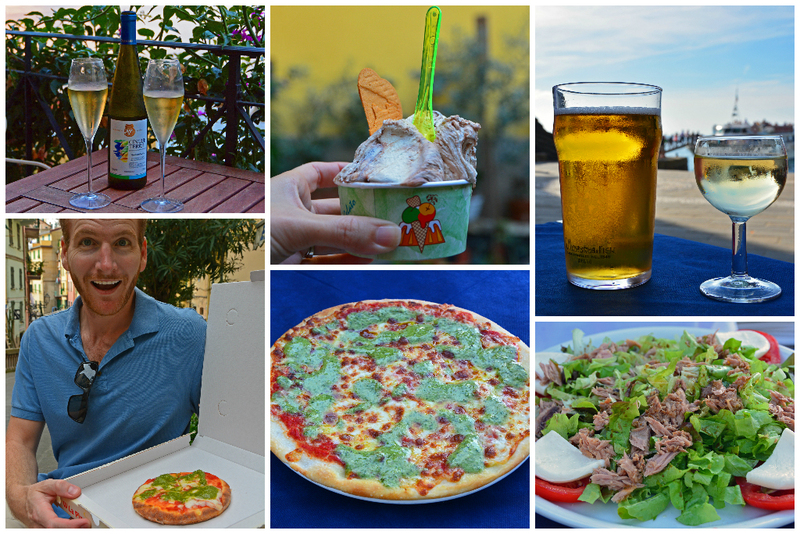 In several restaurants throughout the villages of the Cinque Terre, you will find gluten-free pizza and pasta available (as Sam is demonstrating in the bottom left picture below). There are also plenty of options for vegetarians and vegans, so don’t let your food restrictions/desires hold you back from visiting this savory region! Each village has its own characteristics and personality. In our Cinque Terre Destination Guide, we’ll cover why you should or should not stay in each village, along with what there is to see and do. As the largest of the five villages and the only village with resorts and access to a true beach, Monterosso al Mare is the most popular (and most expensive) village to stay in all of the Cinque Terre. If arriving by train, the station drops you right in the heart of this northernmost village. This is the ideal village for people with mobility issues, as it is the Cinque Terre’s flattest village. In all others, you will be met with steep inclines and lots of stairs! At one end of Monterosso’s expansive beach, is Il Gigante, a once-majestic statue built from concrete in the early 1900s. Also from this beach is one of the only spots in all of the Cinque Terre where you can see all five villages at once. 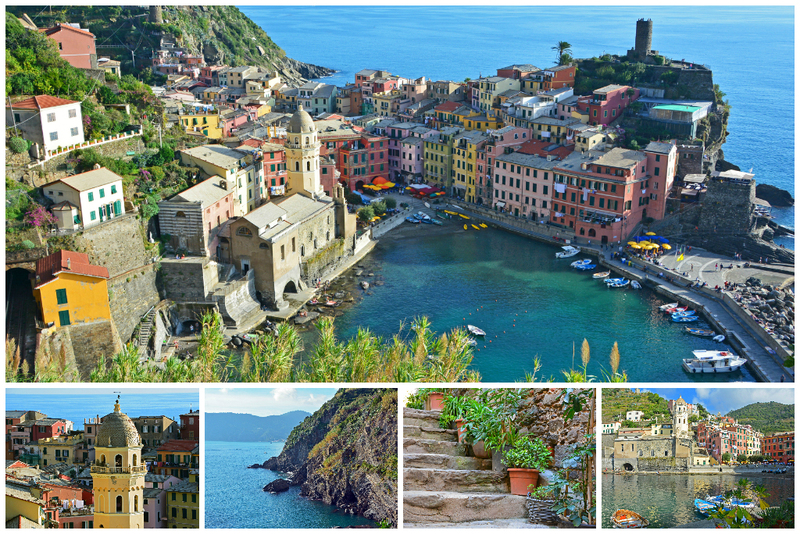 The village of Vernazza has a long history as a bustling fishing community. Even today, fishermen depart from the naturally-formed harbor to collect the fish-of-the-day for many local restaurants and their families. The most iconic shot of the village is obtained from the hiking trail coming in from Monterosso. 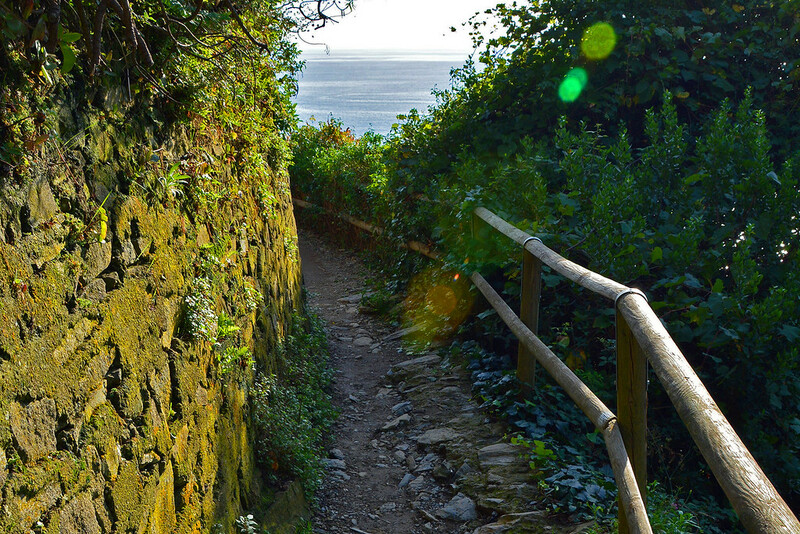 If you’re not hiking between villages, you can still access this (steep) portion of trail leading away from Vernazza, though you’ll either need to have the Cinque Terre Card or pay a small daily fee. Totally worth it, in our opinion. 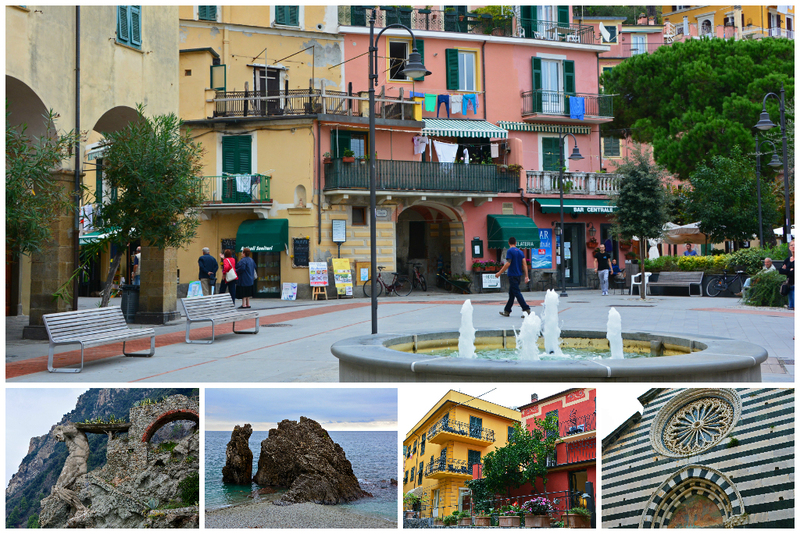 Corniglia is the only one of the five villages not reachable by ferry. The village it situated on a promontory overlooking the Mediterranean with no direct access to the sea below. The journey from the train station into the village requires a climb of 365 switchback stairs, or you can catch a ride on the shuttle bus for a nominal fee (included in the Cinque Terre Card). Parking is extremely limited in town, so again, driving probably isn’t your best option. As the Cinque Terre’s smallest village, you can walk from one end of the village to the other in less than 5 minutes. 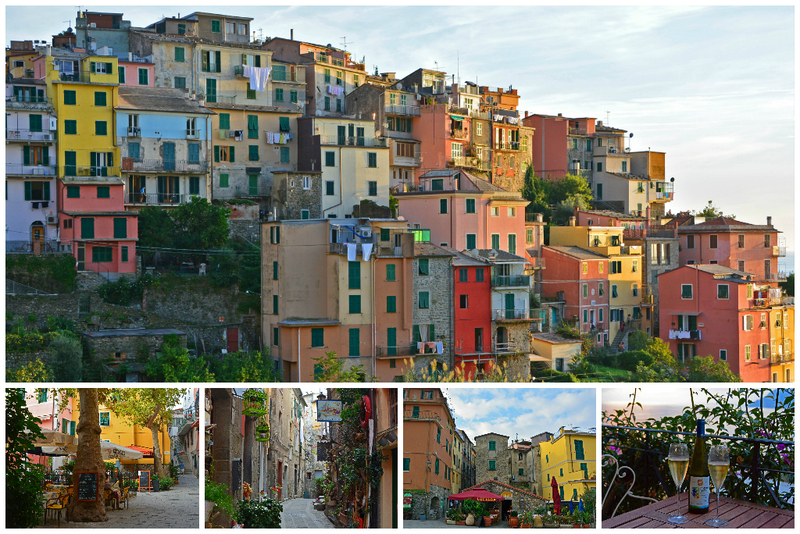 Because of its quaint size and central location, this is precisely why we chose Corniglia as our base for the exploring the Cinque Terre. Manarola is the second smallest village in the Cinque Terre (behind Corniglia), yet it is just as vibrant and charismatic as the other four. Walk along the main alley adorned with colorful buildings as you make your way to the waters’ edge. For the most iconic view of Manarola’s sea-side stacked village, follow the path from the harbor to the hilltop park and snap that postcard worthy shot! Also, be sure to visit the vineyards of Manarola – meet the winemakers and sample locally produced delicious wine for a truly memorable experience! Riomaggiore is the Cinque Terre’s southern-most village. If arriving by train, you’ll walk through a short pedestrian tunnel from the station to the village’s main thoroughfare, Via Colombo. Venture up staircases or down hidden alleys leading away from the main drag to get off the well-trodden tourist path. Make your way down to the picturesque harbor and take in the views of colorful fishing boats and the alluring Mediterranean. You can even schedule a boat tour of the area from here. If time permits, consider taking a food and wine tour with a local guide in this charming village or meet with a local wine maker for a vineyard tour and wine tasting. 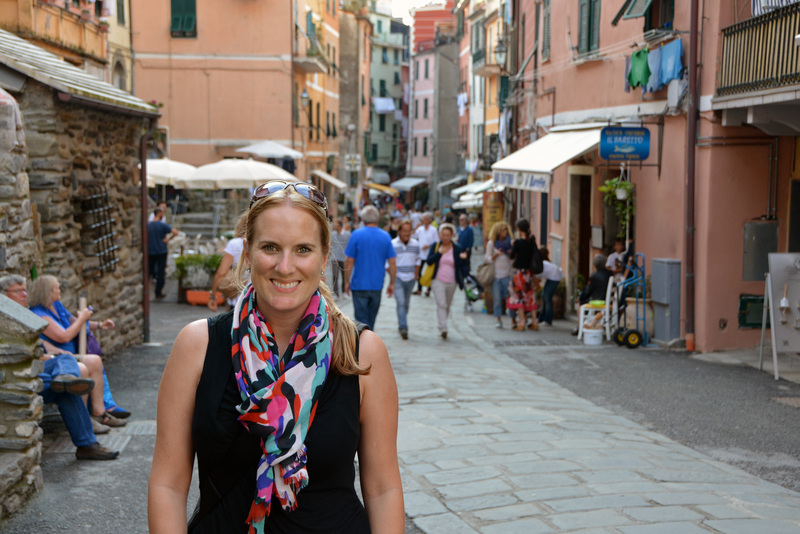 Planning a Visit to Cinque Terre? Frequently Asked Questions, such as What’s the weather like? When is the best time to visit? How many days do I need? Are credit cards widely accepted? What should I pack? 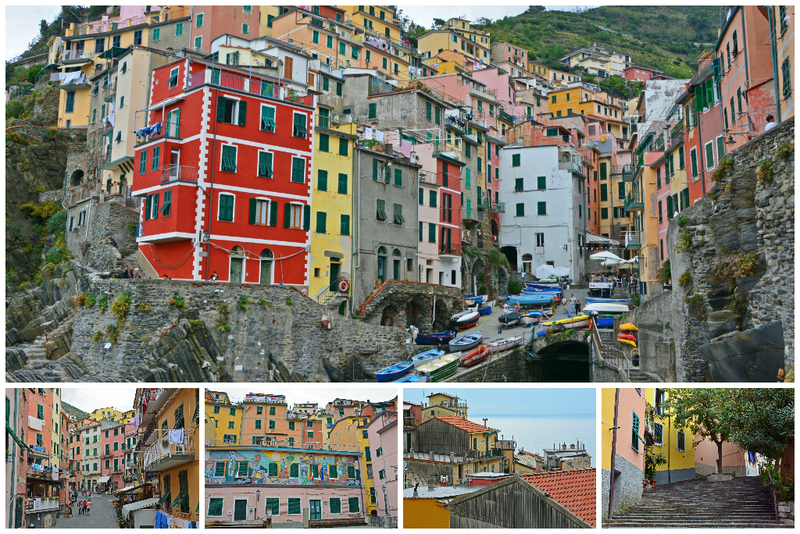 GET YOUR PRINTABLE CINQUE TERRE GUIDE HERE! We Hope You Enjoy Your Visit to the Cinque Terre! Ciao! Disclaimer: This post contains affiliate links. If you make a purchase after clicking on these links, we may receive a small commission at no extra cost to you. Why are they closing the hiking path? It’s one of my favorite parts of Cinque Terre, the views are unbeatable! We are planning to visit Italy soon…maybe May 2018(too soon) Rome, Florence and Cinque Terre. 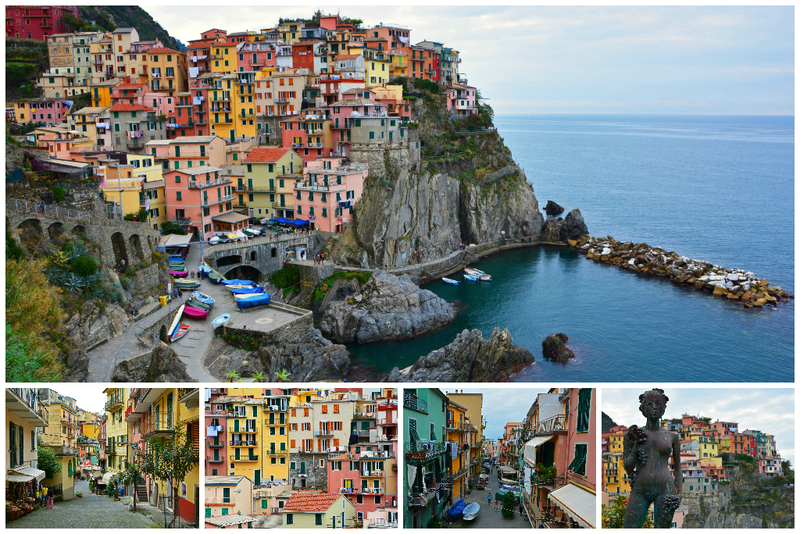 With your experience how long do we have stay in Cinque Terre to enjoy the 5 villages? Your blog fest is very helpful. Thank you for sharing. As many have proven, you technically can ‘see’ all of Cinque Terre in a day, but to really ‘experience’ the 5 villages, I would say 3 days is probably a good amount of time. Though if you plan on hiking between the villages, maybe 4-5 days would be better! Have a great time! Italy is a beautiful country! Definitely try to squeeze in a visit to Tuscany during your trip, if you enjoy wine and beautiful landscapes! Thanks for posting such thorough information! My husband and I plan to take our daughter when she’s older. Do you think a fit 10-year old could handle the hiking? You’re welcome! We did not hike between the villages during our visit to Cinque Terre, so we cannot personally comment on the suitability for a 10-year-old. The distance between villages is nothing too substantial and you can certainly stop in each village and rest. So we would imagine if your daughter is fairly fit and has the appropriate footwear (no flips flops); she’ll probably do just fine! Have a wonderful time in the Cinque Terre! Thank you for such a concise blog. We plan to visit in 2018 and will definitely use this as our guide. Wonderful! Glad you found it helpful. Mission accomplished! Enjoy your visit to the Cinque Terre. My husband and I are traveling to the Cinque Terre in June. We have booked accommodation in Corniglia not realising that there is no direct beach access. Which of the 5 villages would you say would be the best to stay in if you wanted easy access to a beach, great views but not too touristy? Well, that’s a tricky question, because Monterosso definitely has the best beach access, but it’s also most touristy (probably for that reason). It also has the most hotels. If you’re looking to lounge on the beach, Monterosso is definitely your best bet! 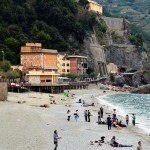 Getting from village to village via train is so easy, why not stay in another town and train to the beach in Monterosso? The other villages have access to water, but not really a beach per se. We are visiting in a few weeks time ( June 2018), staying in Lerici,what would be the best way to travel to the villages from there , we have a weeks holiday . I’m not sure about a train, but I found this post about ferry service between Lerici and Cinque Terre – https://www.apathtolunch.com/2014/06/complete-cinque-terre-portovenere-la.html. Hope it helps! Have a great time in Italy! 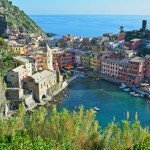 Very good write up on Cinque Terre. Question I have purchased an electronic ticket for cinque Terre online will that fit into the machine to validate it. Also do I have to validate it every time I get on the train or just once??? From what I understand, when you purchase the electronic ticket, the dates of validation are already on the print out. The need for validation is to put a date stamp on the ticket, of which your e-ticket should already include. Again, I’m not 100% certain on this, so double check when you get to your first train station just to be sure, and please report back what you find out, so others will know. We purchased our card when we got there, so our ticket(s) required validation. Sorry I can’t answer with certainty!